You know smoking isn’t the healthiest habit, but did you know that smoke, even secondhand, can affect your fertility? For women, the hazardous chemicals in cigarettes are poisonous to ovaries, by decreasing blood flow, interfering with estrogen production and causing genetic abnormalities in the eggs. Women who smoke take twice as long to conceive and are more likely to have a miscarriage. The effects of smoking are dose-responsive. While some of the damage that smoking does to ovaries is irreversible, stopping smoking can improve fertility rates. In men, smoking causes lower sperm count and motility, abnormalities in sperm shape and function and can cause oxidative damage to sperm, which could be responsible for birth defects and other diseases. That said, tobacco is extremely addictive and quitting is not easy. Because the effects on fertility depend on how much you smoke, start now by cutting down with the goal of quitting for good—for you and your partner. 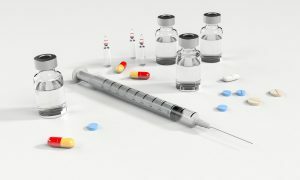 According to the American Society for Reproductive Medicine, Women smokers receiving IVF treatments need nearly twice as many IVF attempts as non-smokers to become pregnant. Women who smoke also need higher levels of gonadotropic drugs to stimulate their ovaries, and have lower peak estradiol levels and lower implantation rates. There’s almost no getting away from tobacco smoke—especially if your town doesn’t have any legal bans on smoking. Even if it does, when entering or leaving a building, you’ve got to hold your breath long enough to get by all the smokers huddled at the front door’s ashtrays. If you work in the hospitality industry, even in the non-smoking section, the smoke lingers in the air where it can enter your lungs or collect on your clothes and hair. Let’s face it; we all breathe the same air! Sidestream (second hand) tobacco smoke contains more than 7,000 chemicals including at least 69 known to cause cancer. It’s estimated that 40% of nonsmokers are exposed to tobacco smoke. Sidestream smoke is just as bad as or even worse than the smoke inhaled by a smoker, because it isn’t filtered. 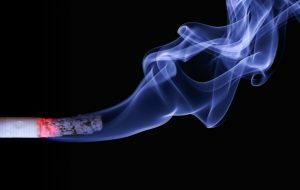 Recent research suggests that sidestream smoke, like mainstream tobacco smoke, may also cause mutations in the DNA of sperm. 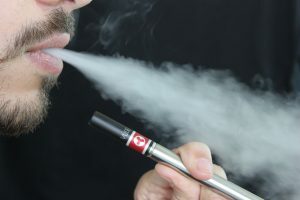 The popularity of E Cigarettes has exploded into a billion dollar business. Many people have turned to e cigarettes as a stop smoking aid with conflicting evidence of success. But the question is–how does vaping–and second hand vapors affect fertility? Th long answer is: we know that secondhand vapor does contain nicotine, though much less secondhand tobacco smoke. It also contains polycyclic aromatic hydrocarbons–PAH–and one study showed the amount in the air increased by 20% in a room with vapers.In that same study, the amount of aluminum in the air increased 2.4-fold. (PAHs are linked to heart disease and many types of cancer. Many studies have linked exposure to PAHs during pregnancy with poor fetal growth, reduced immune function, and lower IQ. You may not want to share your plans for conceiving with co-workers, family or the stranger on the elevator… and even if you did, they might not think their smoking is a problem to you. Try this tip from the authors of “Before Your Pregnancy”: Tell them you have (or recently developed, if they know you) a sensitivity or allergy to cigarette smoke. Embellish if you must, (throw a few sneezes or coughs in for good measure) and claim that it can bring on an asthma attack, depending on the brand. Who would argue with that? Find tips on how to quit here. Want more info on healthy habits while trying to conceive? Melo MA, Soares SR. Cigarette smoking and reproductive function. Curr Opin Obstet Gynecol. 2008 Jun;20(3):281-91. American Society for Reproductive Medicine. Smoking and Infertility. February 2017. « Are You Getting Enough Calcium While Pregnant? A lot of great information here. Thanks for posting this. Wow! This is some good info. Thanks Katy. Hope you visit the blog again soon. Such an interesting read + important topic – thanks for sharing with us. This is such a great resource! Cant wait to share with my clients who are trying to conceive. What a great topic and post! So important to know! informative and helpful for readers all over the world.